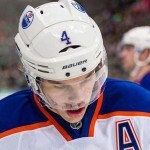 Taylor Hall says he’s ready to go. So, Edmonton fans should probably expect to see him Saturday night against the non-playoff Philadelphia Flyers, for Hall’s first taste of NHL hockey in 23 games. “Another good day,” said the winger, who will be evaluated in the morning before a decision is made about when and where he will play. 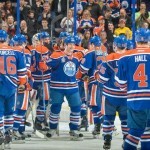 The consensus is: The Edmonton Oilers should ease Hall into the lineup giving him second line minutes. I would wholeheartedly agree with this assessment. when Taylor Hall first when down with injury early in November I was the first to admit, the Oilers offense would suffer. Hall’s absence in hindsight brought the team together. The teams first line has been on fire. 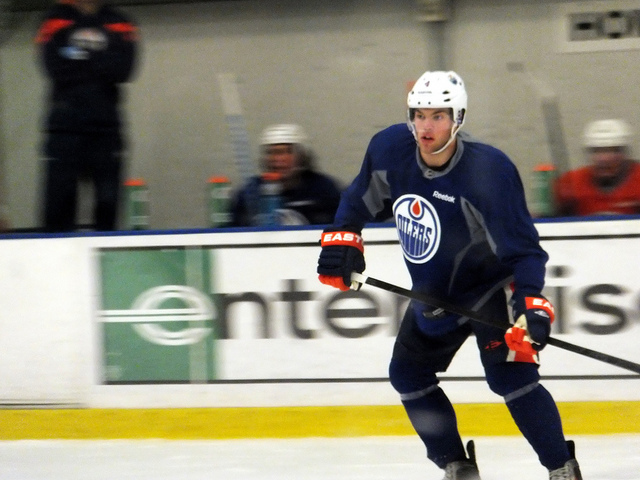 Ryan Nugent-Hopkins and Jordan Eberle are clicking. Statistically, the duo has been listed with the elite NHL players since the All-Star break. Taylor Hall is a dynamic player who possesses the ability to change a game. However, the team chemistry is at an all-time high.This is especially evident on the power play. In Taylor Hall’s absence Edmonton owns the number one power play unit in the National Hockey League. Hall admits: “I don’t think it’s wise to mess with what they have going on there. It’s been fun to watch,” he said. 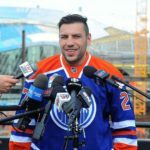 “It seems like there’s just so much trust on that unit, and they seem to break the puck in so easily. That’s a really good sign of a power play. It will be interesting to see how much Taylor Hall is utilized for the remaining games of the 2015 schedule. The other young guns stepped up and prove their worth in Taylor Hall’s absence. 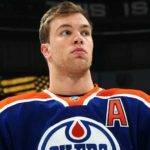 Does this make Taylor Hall a tradable asset? trading one of Edmonton’s young stars is starting to be considered more likely around town; considering another young star is coming… Does Taylor Hall’s injury situation play into him being the odd man out? 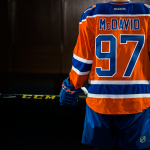 Maybe, that’s how the Edmonton Oilers will get the top defenseman/goaltender the team desperately needs….